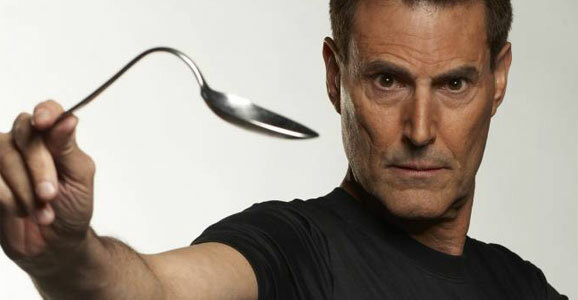 Uri Geller could bend spoons with his mind. Or at least, that’s what he seemed to do in appearances and videos that catapulted his rise to fame. Many people doubt Geller’s mind tricks—I myself always wondered why he didn’t bend objects bigger than kitchen utensils. But now there’s an answer that makes as much sense as any other: he was a spy. Perhaps he was bending much, much bigger things. Speaking to the British publication The Independent, Geller expressed concern about the documentary revealing his secret work. 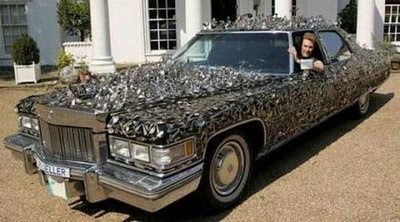 “I am a little concerned,” he said. “I didn’t realize Vikram was going to do such a thorough job tying all of the loose ends.” Geller is still cryptic about his work as a spy, though he maintains that he refused to be involved in any “dark” missions. The film includes information from CIA operatives, scientists from the Stanford Research Institute, former members of the British Government, a retired U.S. army colonel, astronauts, and physicists. Apparently, Geller also worked as a “psychic bodyguard” for Jose Lopez Portillo, president of Mexico in the late 70s and early 80s. Other missions allegedly carried out by Geller include him psychically taking a radar station out of action in the rescue of hostages on a hijacked Air France flight. The Israel secret service, Mossad, supposedly used Geller to locate a nuclear power plant in Syria that it later bombed. That’s when Carter and the CIA decided to recruit Geller, according to the documentary. Since then, Geller has tried to influence negotiators in Cold War discussions and has erased information from computer disks. Geller apparently refused when the CIA requested him to psychically stop a pig’s heart, which he worried was only a small step from being asked to stop a human’s heart (specifically the head of the KGB). Oh, and Geller also supposedly psychically beamed a message into President Carter’s mind to get him to fund a paranormal program at the CIA. Geller says that after 9/11, his work as a psychic spy resumed, but he won’t elaborate on what that work was. Does this explain how Bush was reelected? Or how Anaheim won the 2002 World Series? Or how Steve Fossett was able to travel around the world in a hot air balloon in just under 15 days? Geller does apologize for causing a Scottish soccer player to miss a penalty kick in the 1996 Euro tournament, which resulted in a win for England. While the documentary provides much more information than previously released about Geller’s secret involvement in various military operations around the world, the question mark in the title suggests that not even Jayanti is willing to dispense with all doubt. Unfortunately, these days Geller has been pretty thoroughly debunked as a total fraud. Here’s some of the easily available proof the CIA apparently did not have back then. Thanks for including James Randi in the article,he has done important work debunking Gellar and his kind for the frauds they really are.The work Randi and other “debunkers” have done often overlooked.